The National College for Teaching & Leadership (NCTL), an Executive Agency of the Department for Education, today launches an integrated campaign, by FCB Inferno, to raise the status of the teaching profession and attract high-quality graduates. 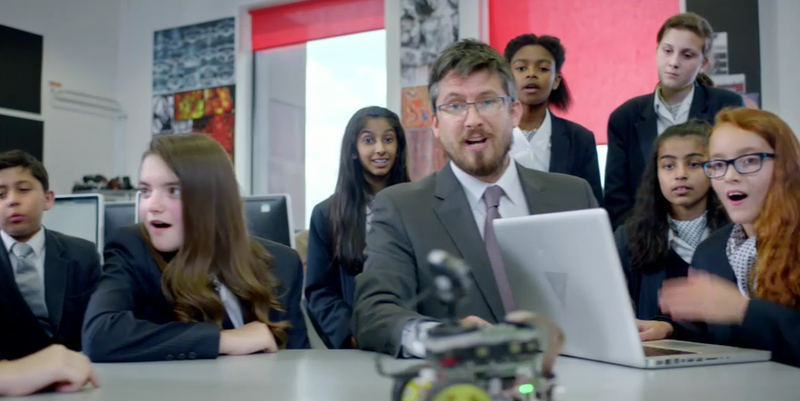 This is the second phase of the successful ‘Your Future, Their Future’ campaign, also developed by FCB Inferno, which launched in September 2014, featuring Mr Burton from Educating Yorkshire. The work emphasises the benefits of teaching, such as career satisfaction and the rewarding influence on students, whilst also highlighting the competitive benefits of choosing a career in teaching. The film will be on air for one month, also to run in the new year. The campaign will also play out via digital banners, Video on Demand and a new suite of social assets. AdStasher: FCB Inferno launches Department of Education Advert "Your Future Their Future"